Stories that deal with time travel and the innate desire to change one’s past for a seemingly better future is a trope that we’ve seen in stories over and over again. However, no matter how many times the trope is used, we humans have an innate curiosity to see how indeed things would change and who would be affected. tvN’s “Familiar Wife” takes this trope and makes it refreshing by giving us a well made and well acted drama that dissects what a marriage and a relationship is, and shows us why there really is just the one person out there that is the perfect one for you. “Familiar Wife” ran for sixteen episodes from August 1 to September 20, 2018. It was directed by Lee Sang Yeob (“Shopping King Louis”) and was written by Yang Hee Sung (“Weightlifting Fairy Kim Bok Joo”, “Oh My Ghost”, “High School King of Savvy”). “Familiar Wife” told the story of Cha Joo Hyuk (Ji Sung), a banker working in the loans department of a bank, and who has been married to his wife, Seo Woo Jin (Han Ji Min), for five years now. However, at this point in their married life, Joo Hyuk has noticed that Woo Jin has changed, and has been losing her temper with him more often than not. One day, Joo Hyuk meets his college first love, Lee Hye Won (Kang Han Na), and a mysterious man who gives him a coin that allows him to travel back in time, leading Joo Hyuk to make a decision that impacted not only him, but those around him as well. Along the way, Joo Hyuk and Woo Jin discover each other, albeit in different circumstances, and they both learn what it really takes to build a healthy relationship and a good marriage, despite all of the ups and downs of life. This drama was a straight up romantic drama with fantasy elements that were very grounded, and had very real characters that everyone could relate to. This drama also had no real antagonist, as, just like in real life, more often than not, we are own worst enemies. And yes, even the one character in every drama that we probably thought we’d love to hate on also had redeeming qualities, and a grounded complexity which made us see that character’s side of things as well. 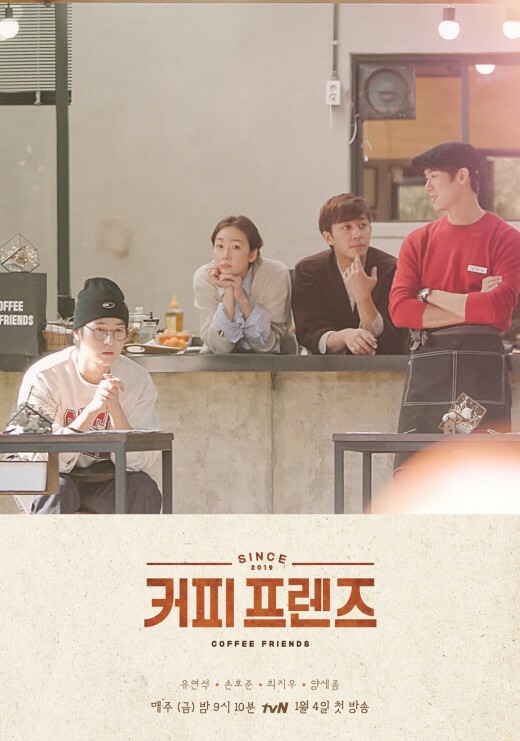 Aside from our main characters, the writer did a good job in balancing it out with the rest of the ensemble, the workers at the KCU Bank Gahyun Branch, to the point that you cheered with all of them during their successes, worried and cried alongside them as well in times of sadness and distress. The show was directed well, and the pacing was great, and the writer, aside from doing a good job in balancing every element of the story together, never ceased to surprise, even when the audience could predict a little bit of what would happen next. The acting in this drama was top notch, from the bank workers (and the silent eye candy bank security guard), to our main characters. Out of the actors in the ensemble, VIXX’s N definitely caught my eye, as I’ve seen him in “Tunnel”, and will be seeing him again in the recently ended “Children of Nobody”. N’s comedic deadpan often stole several scenes for me, and I’m glad that he was able to work with a variety of roles before he leaves for his military enlistment. Park Hee Von was just perfect as Joo Hyuk’s younger sister Joo Eun; Oh Eui Sik was amazing as Joo Hyuk’s college best friend Oh Sang Sik; and Jang Seung Jo was wonderful as Yoon Joong Hoo, Joo Hyuk’s work best friend. In fact, in another actor’s hands Joong Hoo could have been a very bland character, even with amazing material, so I’m glad that we had an actor who was able to pull this character off well. (Plus, the bromance between Joo Hyuk, Joong Hoo and Sang Sik was nothing but fun and adorable!) Kang Han Na was also great as Hye Won, especially as she was able to make us still like her character and made us understand why she behaves that why or why she makes the choices she makes, even though we all love to hate her sometimes. Ji Sung and Han Ji Min are both veteran actors, and it shows. Here, they not only stand well on their own, but are able to act well off of their various scene partners, and of course, they play off well from each other. This show also reminded me why I chose not to finish “Innocent Defendant”- I can not stand seeing Ji Sung sad. What makes this drama stand out is not only the way it continued to surprise all the way until the end, but how it really showed us what a real and good relationship is like, and how a couple can create a good and lasting marriage together, despite their individual flaws, and the ups and downs of life. It also showed us why there really is just that one person that is meant to be with you. This well made drama grows on you as you keep watching it, and surprises you not only with its simplicity, but with the subtle yet powerful life lessons about marriage, love, relationships, friendships, and personal development that it imparts. Definitely a must watch drama from 2018! As I mentioned earlier, this drama did hinge on it being a great study on how to build and maintain a good relationship and marriage. However, both Woo Jin and Joo Hyuk couldn’t have done that without them also learning from their past mistakes and becoming better persons as well along the way. In the first two timelines, things got to a rather toxic level, and both were actually at fault. They both never really did communicate their emotions well with each other, with Joo Hyuk being someone who usually keeps things in, even if its up to the breaking point, and with Woo Jin lashing out when she can’t hold it in anymore. Both weren’t working as a team as well, and Joo Hyuk also, more often than not, started neglecting his wife a bit. Also, in both the first few timelines, part of Woo Jin’s pent up frustrations not only had to do with how exhausted she was juggling everything plus taking care of her mother who was beginning to show signs of Alzheimer’s, also had to do with the fact that there were a lot of things she wasn’t able to fulfill as a person, as she had gotten married straight out of high school. In the new timeline, Woo Jin was able to experience college, and was able to mature a bit more before she met Joo Hyuk at the bank. This Woo Jin went with the flow of what life had to give her, but at the same time, she was able to temper her own temper a little bit, as compared to previous timelines. It is also in this new timeline, where we spend most of our time in, that we realize why Joo Hyuk and Woo Jin work well as a couple. Joo Hyuk is a dependable reliable man but is quite passive, and needs a strong firecracker like Woo Jin to help make his decision making faster. Joo Hyuk and Hye Won didn’t work because even though she is strong, she has a different understanding of what real love is, and her and his values don’t really match at all. In fact, he was mostly just an obedient husband, no more and no less. And while Joong Hoo is an amazing person, he also isn’t the right one for Woo Jin. While she opens up to him, the comfort level isn’t as much as how she really be truly herself with Joo Hyuk. In the process, both Woo Jin and Joo Hyuk had to learn how to stand up and actively fight for their relationship. And this was shown when Woo Jin decided to be the one to save him and make their relationship work, and when Joo Hyuk finally decided to something about it by saving Woo Jin from dying on that bus that was supposed to be in a huge accident. And these improvements in them allowed them to become a better couple. In the very last episode, we were treated to a scenario reminiscent of what they went through in the first episode, but instead of both reacting to each other, Joo Hyuk took the reigns by coming up with a plan. They both had to improve by themselves and they also had to learn how to work as a team as well, which is what marriage and a relationship is really about. Also, aside from just doing the usual, it seems like they also remember to be romantic with each other and spend some time together as a couple, something that is really important in having a strong and lasting marriage. Some of their first few moments together. Woo Jin knew he was the one from the start. The whole time travel element isn’t really fully explained in the end, and, to be honest, it didn’t really matter, as the explanation that was given was satisfactory enough. The writing was also really smart, as it was able to set up things in the very beginning, and the callbacks to those things were done in a smart way. “Familiar Wife” was a wonderful gem of a drama that showed us what a good healthy relationship is, and how it really takes two to make it work, which was elevated not only by great direction and writing, but a wonderful cast as well. Have you seen “Familiar Wife”? What did you like and not like about it? Let me know what you think in the comments below!